RT's Lifecycle feature gives you complete flexibility to define your own statuses and workflow. 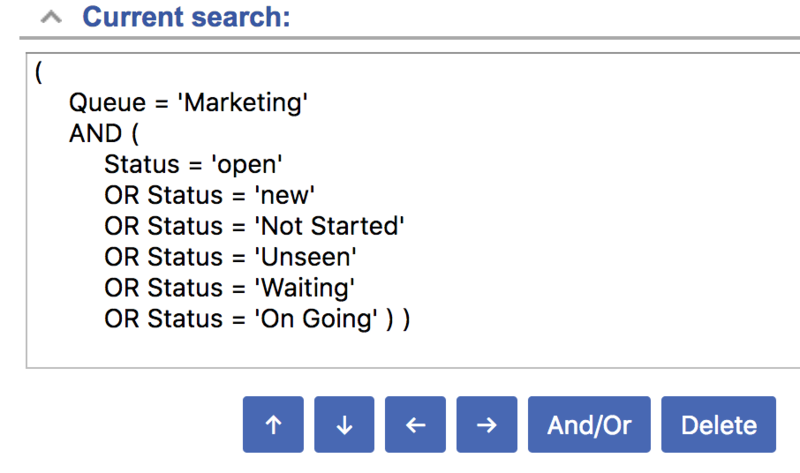 However, if your Lifecycle has a large number of statuses, performing a simple search to see how many tickets are currently being worked on can involve building a large query to include each one. RT 4.4.0 introduced the 'Active' and 'Inactive' values as a shortcut to get all active and inactive tickets and in 4.4.3 you can now easily access them right from the Status menu on the Query Builder. Upgrade to RT 4.4.3 and give it a try!